China. 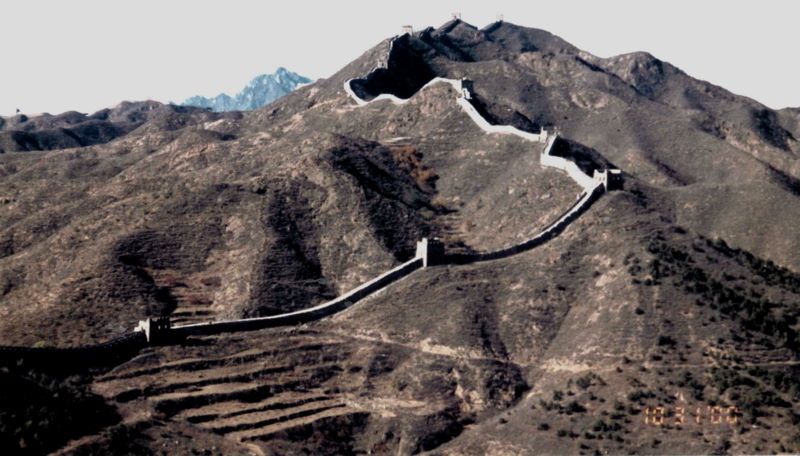 When I was growing up and there was a road construction project that seemed to be taking much too long, people would suggest that they must be building the Great Wall of China. When you were digging a deep hole in the sand at the beach, people would say that you can dig clear to China and under the Great Wall. 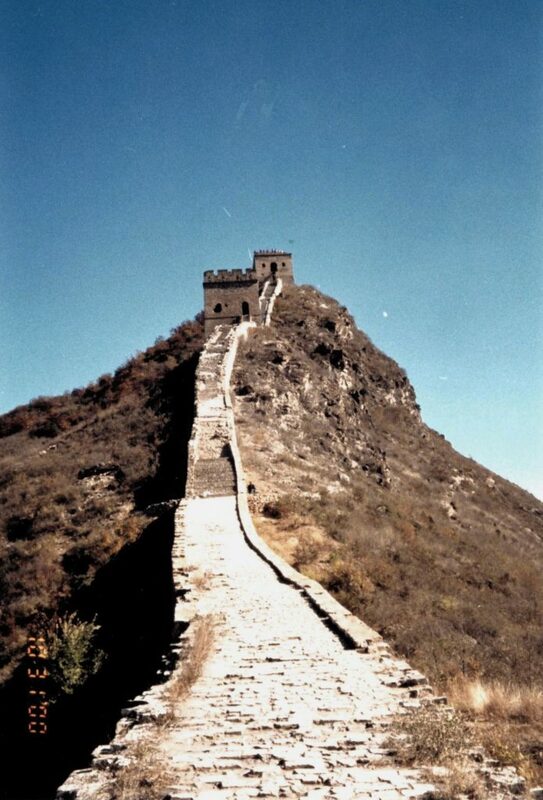 Despite reading up on Chinese history before leaving home, that was as much as I could recall about the Great Wall when the van pulled into the parking lot at the Visitor’s Entrance to the Great Wall at Si Ma Tai. I recall being set upon by vendors prior to starting out and tried to slide unscathed through their crowding. One persistent old woman followed me along the wall, intent on selling me a book. It was steep and uneven, but then it was designed for patrolling soldiers rather than a Sunday promenade. Some spots along the way to the fifth gate tested my determination. And then I was glad the hawker had insisted on coming along. It was a bright, sunny day in October and the path was dry so I suppose I had ideal climbing conditions. Looking out, it seemed impossible that any invading army could approach that wall in a sneak attack. The extent of the fairly bare landscape outside the wall went on for miles. I wondered about who built the wall here. Were they soldiers or conscripts or slaves? It seemed like an impossible place from which to run away undetected. I wondered if there had been any battles here. The information center may have indicated, but I found them difficult to understand. I did appreciate that it was an ancient wall and still standing. The Great Wall of China did not disappoint. I bought a book.